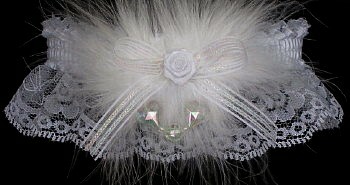 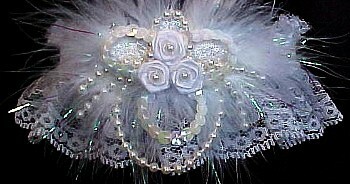 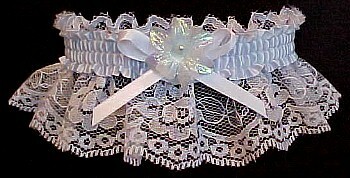 Deluxe Pearls Wedding Garter - White Bridal Garters. 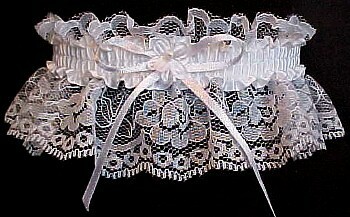 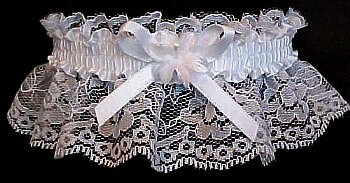 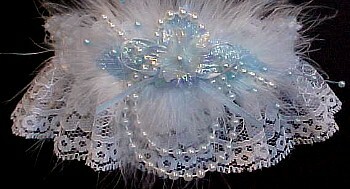 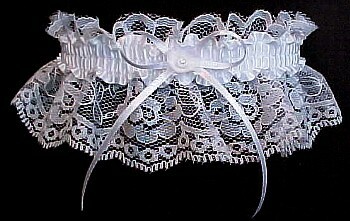 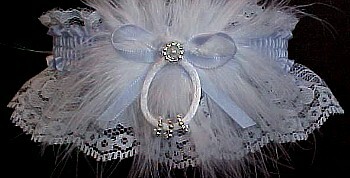 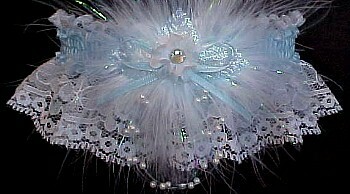 Unique Traditional Custom Garters. 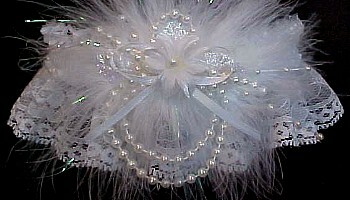 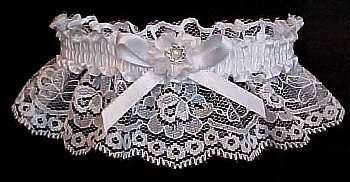 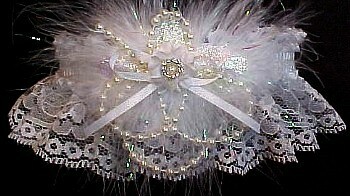 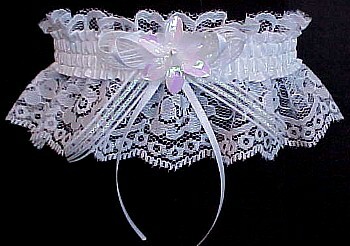 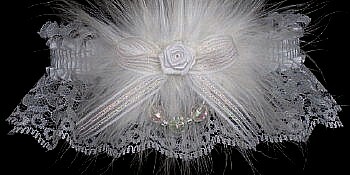 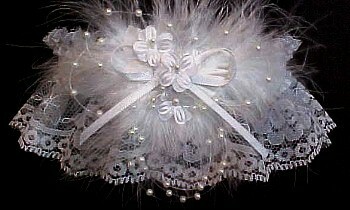 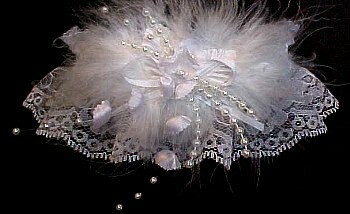 From Snow White to White Hot Bridal Garters Wedding Garters on White Lace with Deluxe Pearls. 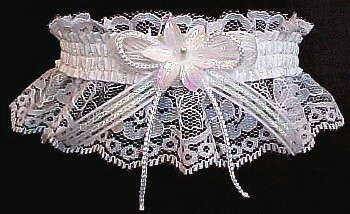 Wedding garters by Custom Accessories Garters.